Rooms equipped to a high standard, with bathrooms. Rooms are equipped with: TV set, telephone, Internet access. On the premises guarded parking. The object is located in the quiet surroundings. 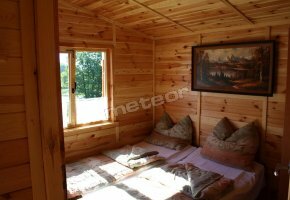 In our offer some rooms with bathrooms. At guests' disposal kitchenette. The facility is located in the town centre. We invite you to take advantage of our offer - satisfaction guaranteed. Rooms: with bathrooms. On the premises parking lot. We perfectly organize: occasional parties. Number of places in room: 150. Open from 10.00 to 20.00. We specialize in the following cuisines Polish cuisine. We provide catering services. Bungalows for 6 persons. We guarantee satisfying stay and nice atmosphere. On the premises: water equipment rental, guarded parking. Additionally on the premises: campsite. For the active guest we offer horse riding. We believe that our offer meets your expectations. Rooms with bathrooms. Rooms are equipped with TV. At guests' disposal kitchenette, wireless Internet (Wi-Fi). On the premises parking lot. Additionally on the premises place for grill, place for bonfire. 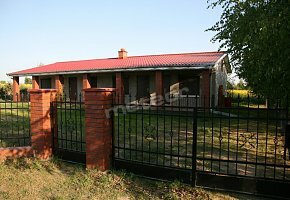 Apartment for 6 persons, with floor area of 120 m2. Apartment consists of: living-room with kitchenette, 2 bedrooms, bathroom, dressing room. Bathroom is equipped with: bath. At guests' disposal: Internet access, washing machine, iron, TV. We believe that our offer meets your expectations.